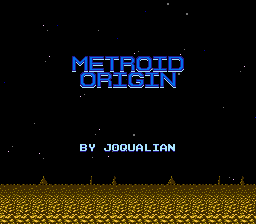 Metroid Origin was a hack of Metroid originally created by JoQualian in 2010. The hack altered the graphics, levels, and text of the game. It was a good hack, but consisted of several bugs that prevented the player from actually being able to finish the game. Pacnsacdave and Draziw Eht fixed every aspect of the game to where it is now fully playable! 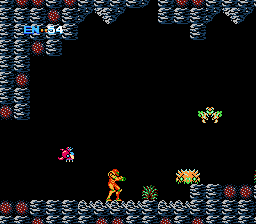 There are three patches in the zip file for metroid origin. The first patch is the original game, only fixed so it can be beaten. 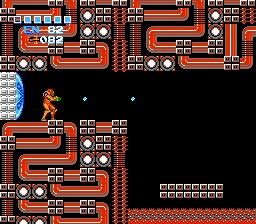 The second patch adds upgraded Samus Suit graphics to the game, as well as upgraded item graphics. The last patch is an enhanced version. 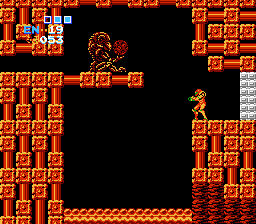 This adds the upgraded Samus Suit graphics to the game, upgraded item graphics, as well as animated blocks, lava, and the awesome Wavy Ice Beam that was created by Snarfblam!!! Download and enjoy!! !